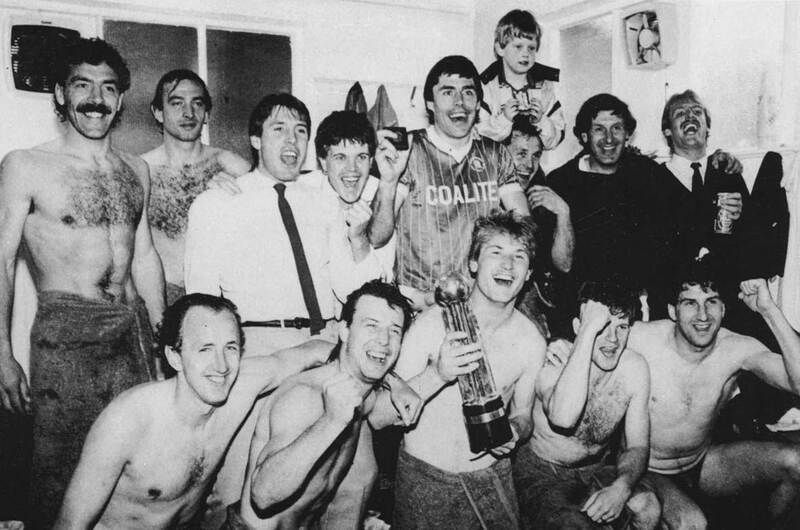 Two promotions and a championship have come the way of our first team, while other spireite sides have also brought honours to the club on this day. The 2-0 defeat of Hartlepools United on April 27 1936 confirmed Chesterfield’s status as champions of the Third Division (North) and secured their promotion to Division Two. It marked the start of what might legitimately be considered the brightest period in the club’s history and also kick-started a programme of ground improvements that saw the erection of the new Archibald Leitch stand at Saltergate during the summer of 1936. On this day in 1970, Chesterfield were crowned champions of Division Four. The 3-1 victory over Peterborough in front of 14,250 had been made unnecessary by results elsewhere during the previous week but it was welcomed by fans who saw this moment as the end of a 20-year decline. April 27 1938 saw Chesterfield’s “A” team secured the championship of the Derbyshire Senior League by beating Sutton Town by the small matter of twenty goals to nil! All 20 were shared among the forwards, with centre-forward Jack Harker doing a “Joe Payne” and netting ten. Cynics among today’s support will be amused to hear that Harker came in for training the following week to find he’d been given a free transfer!